Many businesses are now subject to the constant threat of hacking and malware. Your law firm is no exception. A law firm handles sensitive client data on a daily basis and hackers who want to steal this data come in many guises, ranging from financially-motivated criminals to political activists. Why do they want your law firm’s data? Personally identifiable information (PII) such as full names, social security numbers, financial records, and contact details are worth a lot on the black market and allow criminals to commit further fraud. Hackers look for easy targets like small law firms that have low security barriers. If you become a victim, the consequences of these cyberattacks besides losing client trust are many. They include threats to public safety due to the sensitive nature of the data, financial losses for both law firm and client, fraud and identity theft, downtime, and legal penalties. To avoid these, here are some simple steps your law firm can take so that it is not an easy target for hackers. Information security isn’t simply a matter of placing your data behind a firewall. You need multiple layers of safety measures, which include encryption, multi-factor authentication measures, and strong password policies. Another essential cybersecurity measure your law firm needs is a secure data backup system that stores data in an off-site location such as the cloud. Having the right data backup technology and strategy will ensure that your firm’s data is regularly backed up and easy to recover in the event of an attack such as ransomware. Many data breaches are the product of social engineering, a form of hacking that takes advantage of human error and carelessness. To address this, your employees must be taught to identify cybersecurity risks like phishing scams and be properly trained to mitigate them. For your cybersecurity measures to be effective, they have to be strictly followed. This means your company must live and breathe a culture of security by regularly conducting security drills and refresher courses. It is also necessary to test whether or not security measures are working properly. One way to do so is to conduct readiness drills, such as simulated attacks. This will not only show you if your firm’s defenses are operational, it will also allow you to analyze your defenses and identify gaps or weaknesses that need to be addressed. Some of your law firm’s clients may be businesses that are governed by strict cybersecurity measures. For example, when you’re working with a healthcare organization, industry regulations such as the Health Insurance Portability and Accountability Act of 1996 (HIPAA) require that they only work with business associates who adhere to strict requirements. By complying with and tailoring your own security measures to meet the requirements of multiple clients such as these, you will improve your firm's security and marketability. Updating your firm’s IT systems is a must for any solid security system. How often have you or your employees brushed off a critical software update when prompted to do so? If you’re like most users, you consider an update a nuisance and would rather not be bothered. Updates, however, contain security patches that address the latest threats. Hackers can exploit out-of-date software for backdoors into your firm’s network and systems. Cyber risk insurance is a real thing, as cyberattacks have become a major problem for the legal sector. Sadly, some cybersecurity measures, however sophisticated, aren’t typically 100% effective and data breaches and other cyberattacks have resulted in severe and expensive consequences. The situation has made cyber risk insurance a necessity and a good investment to protect against losses. The best way for your law firm to cover all its bases is to partner with a managed service provider (MSP) like Netquest. We specialize in protecting your network and systems with a multi-layered approach that includes active monitoring, cloud services, data backup and recovery, security awareness training, and email protection. 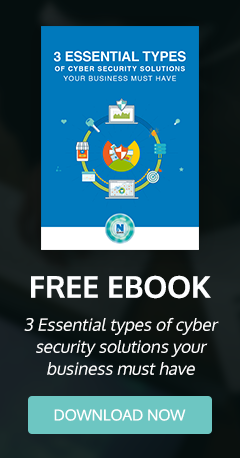 To learn more about essential cybersecurity measures for every kind of firm, check out this simple guide or get in touch with us.